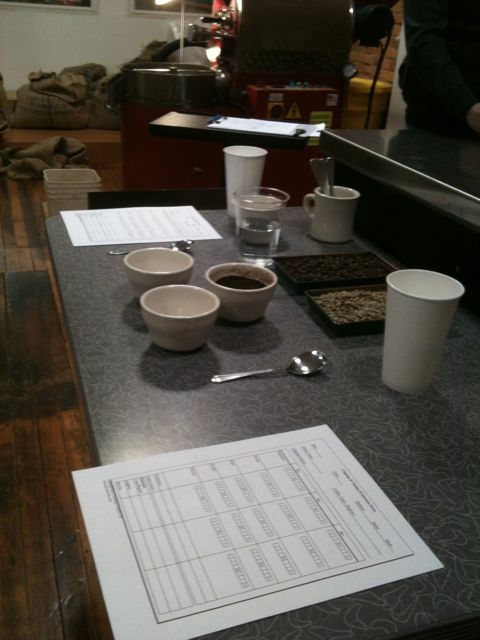 We cupped the new roast profile of Guatemala El Injertal. We used very high initial charge temperatures without adding additional heat, which is different from the way we roasted the Guatemala up to this point. My goal was to increase the acidity and mouthfeel of this great coffee by shortening the roast time and keeping first crack at around 8 minutes. Fragrance (ground coffee;dry): Toasted nuts, good coffee aroma, and a hint of burned fattiness. Acidity: Initially, drying cocoa and after 30 minutes of cooling, a fruit acidity came through huge.